A Toyota Dealership That Makes It Easy. City Toyota wants to make shopping for a New or Used Toyota fun, and wants to make Servicing your current Toyota convenient. 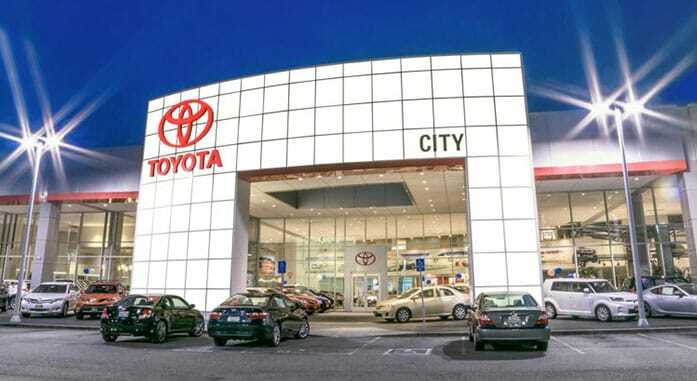 As one of the San Francisco Bay Area’s biggest Toyota dealerships, we offer a truly impressive selection of New and Certified Pre-Owned Toyotas, plus a fantastic collection of Used Cars of various makes and models. And our Authorized Toyota Service Department opens at 6AM, 6 days a week for your convenience. City Toyota features Express Maintenance and a comfortable customer waiting lounge and cafe.